Complete awareness, complete focus. A mind sharpened by diligence to a single deadly point. Zen Meteor is an Exotic sniper rifle that’s exclusive to PS until the next expansion. The good: Useful perks & incredible DPS. The bad: Small magazine & high recoil. Conclusion: Badass, hits hard, and totally beautiful. Grants explosive rounds. Rapid kills with every round in the clip load an extra, higher-damage round for 5 seconds. The extra round from Dynamite causes a massive explosion. It wouldn’t be a new update without a new Exotic, in the form of the Playstation-exclusive (until this Fall).Zen Meteor jumped out to us immediately for its stylish design and intriguing perkset – but we’ve been burned on hype before when it comes to Exotics (cough, Dreg’s promise), so we’ve been tempering our enthusiasm. While it is by no means a flawless weapon, it is well worth your time to grind for, and we’ll get into the details of what makes it such a viable Sniper Rifle in the newly-evolving meta. What immediately jumps out with this weapon is its extremely rare ability to shirk the confines of a standard RoF/Impact class. It possesses the highest Impact in the game, tied only with the Black Spindle, but also shares the RoF with the next class down, which includes prized weapons like the LDR 5001 and Thousand Yard Stare. For those of you doing the math, this means that when it comes to emptying its magazine, the Zen Meteor possesses the highest theoretical DPS in the game. That’s right, if you’re unloading the magazine with pinpoint precision at its highest fire rate, you will out-damage every other Sniper Rifle thus far. To help you do this, the Zen Meteor boasts a massive base 90 Range, which is more than enough to prevent damage falloff at all but the most extreme distances. Unfortunately, its paltry Stability of 24, combined with the nerfs to Snipers as a whole in 2.2.0, mean you’re going to have a very difficult time resetting your reticle after the immense kick from the shot. Thankfully, the one-size-fits-all scope appears to be the now-lowest available zoom (comparable to the Longview SLR10), and as such the kick when ADS is “minimized” in that regard. Beyond that, it possesses middling ammo economy with a small Magazine Size of 3 and Reload Speed of just over 50. It can be noted that this still outperforms faster-firing weapons like King’s Falls’ Defiance of Yasmin. For you PvP enthusiasts, you’ll also be overjoyed to hear that (at least according to our database) the Zen Meteor also sports a whopping 80 Aim Assist – higher than any other Sniper Rifle in the database. With the low zoom scope and high Range, this promises reliable performance in the Crucible. As if to answer our first complaint about ammo economy, the Zen Meteor possesses an innate perk “Dynamite” which rewards a free extra round if the user is able to score three kills in relatively short succession. From our testing, it looks like the period of forgiveness is fairly generous, with kills perhaps only needing to come as frequently as 5 seconds in-between. On top of the free magazine extension, Zen Meteor possesses Explosive Rounds innately, too. Your mileage may vary with this perk, of course; Explosive Rounds actually decreases direct precision damage, despite providing extra all-purpose damage ticks on any contact. This makes it better for shields, and worse for overall DPS. In the ballistics column, rather than choosing between scopes, you’re offered the choice between CQB Ballistics, Soft Ballistics, and Smart Drift Control. With a heaping helping of Range to give up, the obvious choice is between CQB Ballistics and Smart Drift Control. Either is perfectly fine to at least somewhat alleviate the recoil issues, but neither is going to drastically change the way the weapon performs. Pick what suits you best. As its first distinct perk, Underdog is a little…underwhelming. We’ve long held that perks that encourage paradoxical play such as staying in the fight when your health is low are not the best options, and Underdog appears to be just that. In PvE, if you find yourself suddenly red-bar, you should escape whatever is causing you pain, full stop. Your team will appreciate your survival infinitely over squeezing out another kill with Underdog’s help, then dying. In PvP, Underdog may come into play when you find yourself under fire and unable to retreat. Increased handling and range may help you pop in and out of your scope to drop multiple targets – but chances are this will only happen once in a blue moon. Overall, a somewhat bland perk that doesn’t really inspire excitement. As usual, the middle column offers QoL improvements that can further suit the Zen Meteor to your playstyle. All three are really excellent options, here. Fitted Stock offers a no-penalty, but minor, boost to Stability, and is great in tandem with Smart Drift Control to avoid the excess hit to Range. If you plan on engaging in closer quarters, Injection Mold will double down on the trade-off between Stability and Range, and you can achieve something closer to what you may be used to with your favorite stable Sniper Rifle. Finally, Field Scout is the perfect choice for PvE, with the draconian cuts to Sniper Rifle reserves overpowering the unreliable increase to Special Ammo drops. Guaranteed to blow your mind: every time. That’s “With a Laser Beam”, Zen Meteor’s final and most interesting perk. If you’re able to proc Dynamite’s special quick-kill effect, your final round will trigger a “massive explosion” on impact. Okay, so “massive” might be a bit of hyperbole – it’s closer to that of Ice Breaker’s. Regardless, you’ll be given a free extra round with an amped up version of Explosive Rounds applied when you fire it. You only have around 6 or so seconds to discharge the round, so pick your target and let it fly! 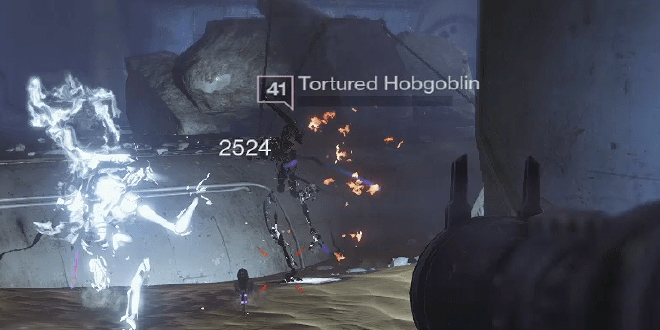 We anticipate this weapon to be more than serviceable in PvE. In this meta, the only Sniper Rifles that see use are those with an Impact class of 31 or higher, and Zen Meteor fits the bill. Because it compares so readily to the Black Spindle, we’ll examine a bit here how the two fare when placed side by side. Black Spindle is a boss killer, straight up. Its entire mechanism is designed around feeding rounds into the magazine so you can keep up the pain on a single target. Sure, crack-shot players might be able to down a few extra Knights in a row, but when it comes time to DPS Golgoroth, the Warpriest, or an Ultra in Heroic content, Black Spindle will continue to dominate. Zen Meteor, on the other hand, has no pretensions about being designed exclusively for bosses. 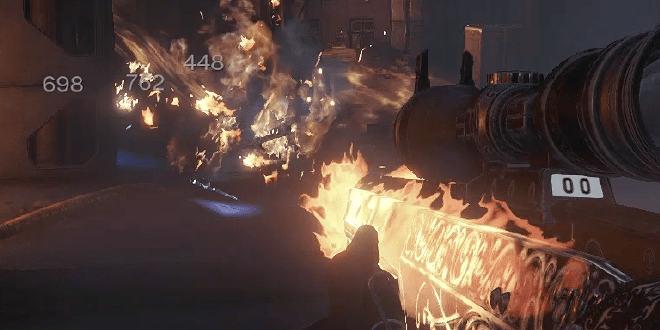 With Explosive Rounds and a higher RoF, it is much more adept at dropping high-priority enemies such as high-level yellow-bar Majors, or even pesky Wizards. Taking advantage of Field Scout and Dynamite’s free round, a Zen Meteor user can feel more comfortable using the unholy damage output on the rabble rather than just saving it for their bosses. A situation in which a Zen Meteor user is able to down three damaged or weaker foes (think Acolytes, Hobgoblins, red-bar Knights) opens up an excellent opportunity to fire the final With a Laser Beam round at an advancing horde of Thrall, Corrupted Psions, or the like. Unfortunately, the nerfs to handling and zoom time limit its potential as a true run-and-gun Sniper. 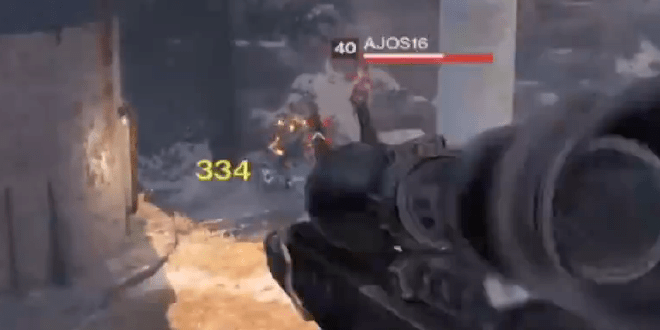 You’re going to have a hard time quick-scoping your way through Strikes with this one. And with no Quickdraw, Snapshot, or Single Point Sling to alleviate these concerns, you’re stuck with the more cumbersome feel. Again, it’s a good thing the zoom isn’t as extreme as Ice Breaker’s. Such a handicap would have been a death knell for the Zen Meteor’s versatility. This is trickier to assess at this juncture. We know how Sniper Rifles dominated the meta before 2.2.0, and it’s safe to say with the changes to Special Ammo economy and Sniper performance, it’s no longer going to be as easy to pick up any old rifle and dominate your opponents. 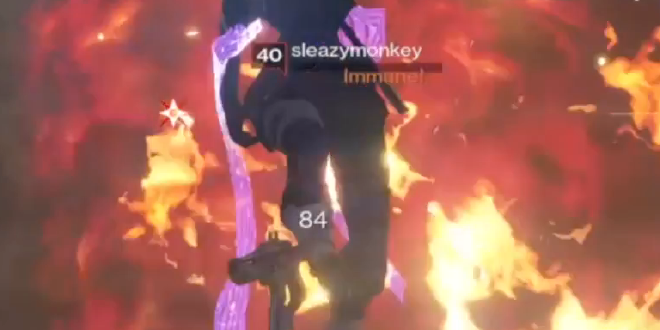 With that said, the ability to down a foe in a single shot, in a meta where Bungie has steadfastly refused to shorten TTKs, will always be in high demand. To that extent, Sniper Rifles are not going anywhere. Ambush and Shortgaze scopes no longer possess their absurdly low zoom factor, so the reasonable compromise that Zen Meteor offers between Range and Field of View is an attractive prospect for Snipers who want to kill with some style. With its overwhelming Impact, even the negative precision scalar from Explosive Rounds does not deter the Zen Meteor from hitting the important thresholds: It’s a 1-shot headshot kill no matter what your buff. This means anyone with an overshield is still at your mercy if you pluck the dome. Fans of the Stillpiercer will be happy to learn that the Zen Meteor shares its diamond reticle shape, and in combination with its unparalleled Aim Assist and the aforementioned lower zoom factor, this makes for headshots you can trust. Unfortunately, the unique and fun With a Laser Beam appears to be somewhat of a novelty in PvP at this point. It’s simply way too hard to kill three opponents in rapid succession, much less find a fourth to detonate. 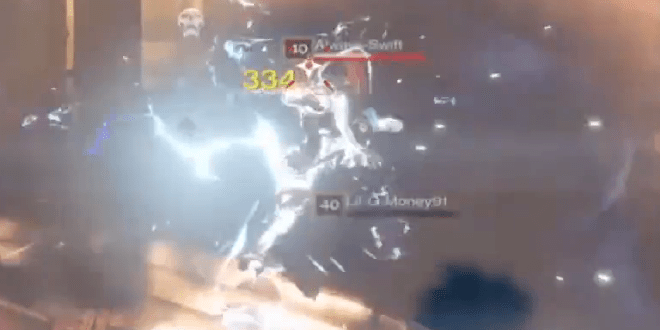 On top of that, the “massive explosion” doesn’t actually deal enough direct damage to kill a Guardian in the Crucible…unless it’s already a headshot. So yep, as usual, the best strategy remains “Get your headshot kills”. Zen Meteor offers a little bit of leeway in achieving that helpful extra round – you can finish off a weakened enemy, then get two headshots – but the only reason you should be glad for this is to prolong the amount of time you have in-between reloads. For PvP, we recommend a build of CQB Ballistics/Smart Drift Control and Injection Mold, as there are very few maps in which the penalty to Range would adversely impact your killing potential, and having the reticle steady quicker for follow-up body shots is conversely a very high priority. Note that a body shot will deal 168 damage, in the form of 84 from the initial impact, and 84 from the explosive round detonating. This means, on average, a target need only take a couple of errant bullets from a teammate before he or she is in body-shot range. If you’re lucky, you’ll hurt his nearby friend enough with the ER damage to follow-up with another body shot kill. Much like the former PS-exclusives, the Zen Meteor knocks it out of the park in design. The overall weapon profile is economical and minimalist; the Zen Meteor is perhaps one of the more no-nonsense Exotics in Destiny’s history. Certainly, it doesn’t jump out like the Ice Breaker – but this is to its credit. When you proc With a Laser Beam, the front half of the Rifle will be momentarily enveloped in blazing flames, to let you know that you’re now carrying quite a dangerous payload. Overall, it’s an attractive Sniper Rifle with a creative set of perks that is fortunate enough to sit in a RoF/Impact class that allows it to have actual use in the metagame. While it isn’t going to be the next boss-killer, it immediately finds a home as a badass alternative to your boring old Legendary Sniper Rifle, and in the hands of an expert, can put out a scary amount of damage.